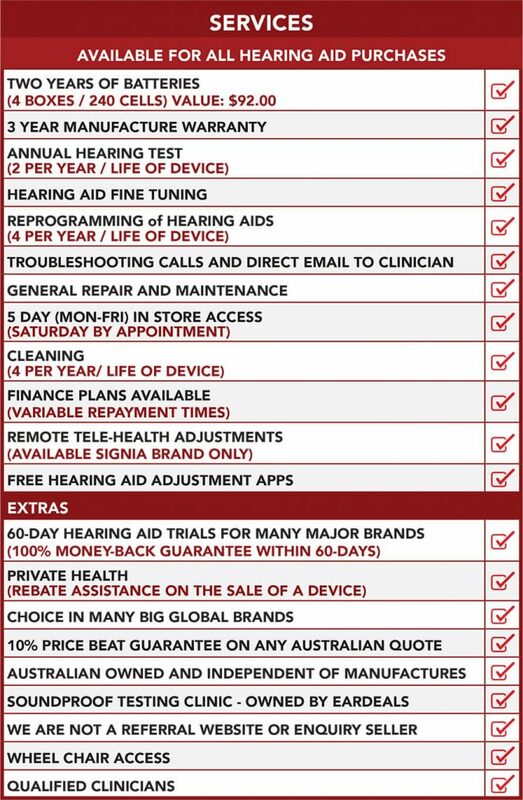 Signia Styletto NX hearing aid - At Australia's home of low priced hearing aids! 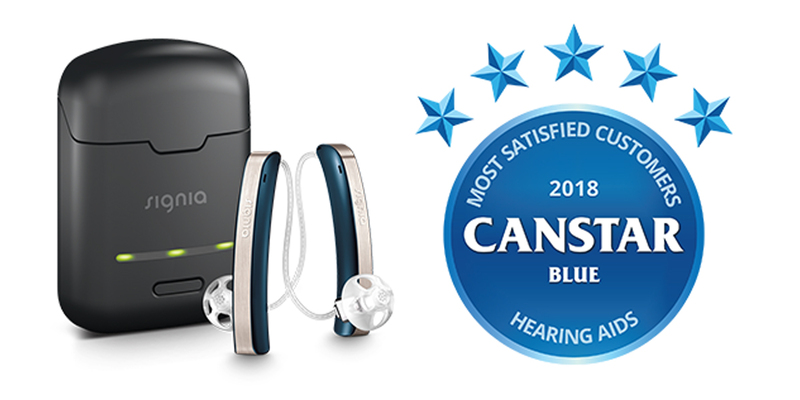 Signia Styletto Hearing aid awarded a Canstar Award 2018! Home > Blog > Signia Styletto Hearing aid awarded a Canstar Award 2018! Signia Styletto NX Hearing aid awarded a Canstar for most satisfied customers! Another big achievement for Signia! 2018 Canstar Blue Award winner for Most Satisfied Customers! A GAME CHANGER IN THE HEARING AID INDUSTRY | Available October 2nd at EarDeals! 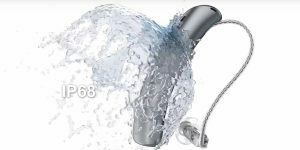 Signia has launched a new concept for a receiver in the canal hearing aid on their global website posted on August 27, 2018. The Signia Styletto (pronounced as style-letto) hearing aid is a fresh approach to traditional hearing aid design globally. 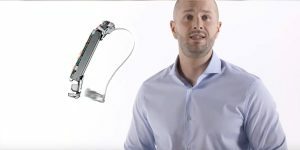 Boasting the new Natural Experience (NX) technology by Signia and available in three technology ranges from 3Nx, 5Nx and 7Nx, the Styletto is questioning what the future of hearing solutions is for people living with hearing loss. 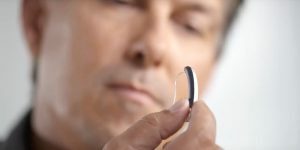 Based on a completely new hearing aid design and built around a unique inbuilt rechargeable lithium battery, the Signia Styletto was designed from the outside in and arguably is a new class in hearing aid types! A survey of 500 people conducted by an independent marketing group on behalf of Signia USA, which also utilised focus groups of people living with mild hearing loss types. Indicated that the design of hearing aids and the stigma attached to hearing aids was a key determining factor blocking adoption of modern hearing aid technology. Signia thus designed the Styletto to create a fresh approach and solution to those who are seeking a device that matches their lifestyle and design expectations in a modern era of consumer electronics. Made perfectly for people with mild to moderate hearing losses, the Signia Styletto is a revolutionary slim and stylish hearing aid that is virtually invisible when worn behind the ears. It is so thin and lightweight that without close inspection of the back of the ear, the Signia Styletto remains out of view from those around you. We can now expect that the adoption of a new style of rechargeable battery will ultimately pave the way for unique and more desirable hearing aid designs globally. This is a big win for hearing aid wearers! 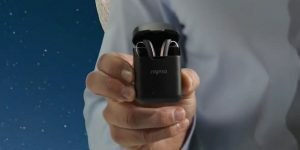 The Signia Styletto is a wireless hearing aid that can connect to iPhone and Android phones through the Touch Control App for convenient and discreet management of your hearing loss. Open communication remotely between you and your clinician is also possible through the TeleCare hearing system developed by Signia. That’s right, you can stay at home for all your hearing aid adjustments. 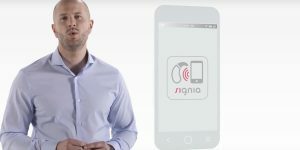 With Notch Therapy, tinnitus sufferers need not worry about the annoying tinnitus sound; it will be treated inaudibly and unobtrusively using the Signia technology processed through the NX hardware chip for a truly peaceful experience. Signia truly lived up to its promise of changing how people see hearing aids with the introduction of the Signia Styletto! At EarDeals we are excited to offer any interested wearers the opportunity to trial the Signia Styletto free for 60 days! Fitted by our qualified clinician in our purpose built hearing soundproof clinic in Sydney! 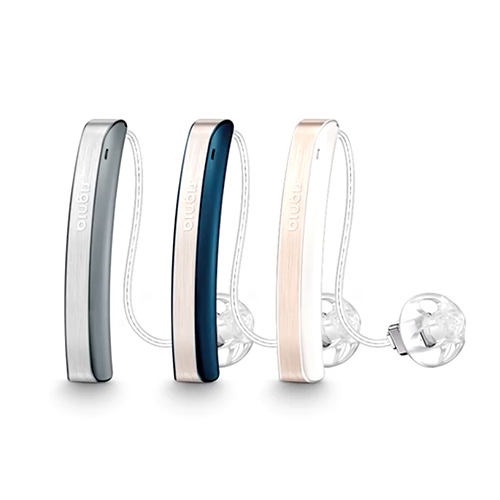 The Signia Styletto hearing aid is the pioneer device that uses a pin cell battery type, unique to the Signia brand. The hearing aid and all its features can work for up to 19 hours of daily use on a single charge. Plus! 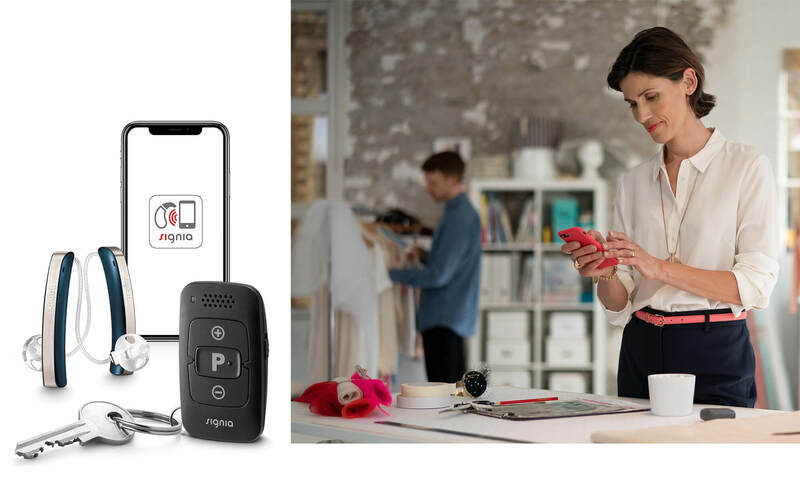 The compact and ultra-small charging case of the Signia Styletto can give wearers up to three days of recharging without the need of a plugin adapter; perfect for a weekend away. The charging case is so small that it can comfortably fit in your pocket while charging your Signia Styletto. Just thirty minutes charge time provides an additional 5 hours of hearing use! The charging case will fully charge your Signia Styletto hearing aids in three hours! Size Dark Granite, Silver; Cosmic Blue, Rose Gold and Snow White Rose Gold. When can I be fitted? Same day fittings! Charging Case Yes – 30 min case charge = 5 hours use! Trial the Signia Styletto free for 60-days - Register now! 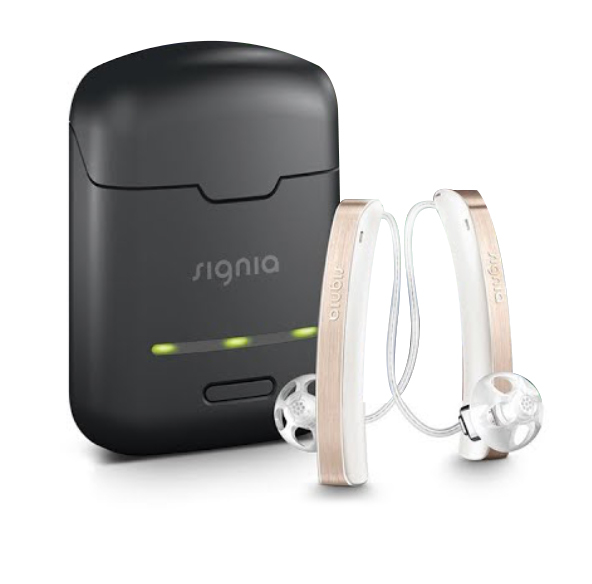 If you would like to register your interest or trial the Signia Styletto Nx free for 60-days when it arrives in the clinic, please book a free comprehensive hearing test via phone or through the EarDeals website. go to the EarDeals website and go to the top right corner of the website to book a free hearing test appointment online by choosing: Option #2.